We're counting down the days (14) until Christkindlmarket opens and with the signature wooden houses popping up in Daley Plaza this week we could practically start to taste all of our favorite German food and drinks. 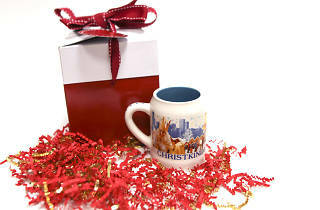 The big question on everyone's mind: What would this year's Christkindlmarket mug look like? 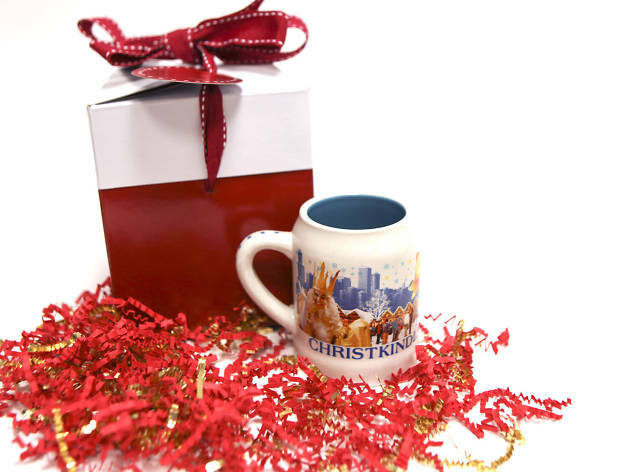 For over a decade a collectible boot was the signature drinkware of Christkindlmarket before the switch to a more traditional mug in 2012. The boot made its triumphant return last year to celebrate Christkindlmarket's 20th anniversary, but it looks like we'll be drinking our glühwein out of a regular mug again this year. The city's largest open-air holiday market opens November 18 and runs through December 24, with tons of free events, musical performances and the best food, drinks and shopping. This year suburbanites can join in on the festivities with a new market in Naperville that opens November 20. Enjoy all the celebrations at Christkindlmarket through December 24, and check out the full schedule of events here. Sure, we'll miss the boot, but the good news is glühwein tastes just as delicious in a regular mug.